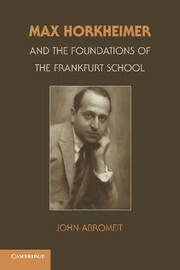 This book is the first comprehensive intellectual biography of Max Horkheimer during the early and middle phases of his life (1895–1941). Drawing on unexamined new sources, John Abromeit describes the critical details of Horkheimer's intellectual development. 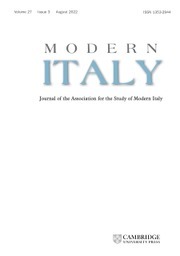 This study recovers and reconstructs the model of early Critical Theory that guided the work of the Institute for Social Research in the 1930s. Horkheimer is remembered primarily as the co-author of Dialectic of Enlightenment, which he wrote with Theodor W. Adorno in the early 1940s. But few people realize that Horkheimer and Adorno did not begin working together seriously until the late 1930s or that the model of Critical Theory developed by Horkheimer and Erich Fromm in the late 1920s and early 1930s differs in crucial ways from Dialectic of Enlightenment. Abromeit highlights the ways in which Horkheimer's early Critical Theory remains relevant to contemporary theoretical discussions in a wide variety of fields. 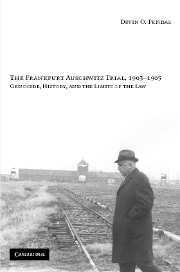 "Abromeit’s book is the most exhaustive study of Horkheimer to date. His critical examination of the secondary literature is unparalleled, and his extremely detailed archival work, citation of sources, and textual exegesis, is exceptional. Indeed, it is hard to imagine anyone in the future adding much more to what he has accomplished here. 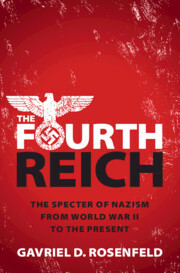 This book will be the benchmark by which future Horkheimer scholarship will be measured." "John Abromeit has written what will be the standard work on Horkheimer and early Critical Theory. This superb study deepens our understanding of Horkheimer’s central significance for the constitution of Critical Theory in the 1920s and 1930s, clearly distinguishing his theoretical approach prior to 1941 from that later expressed in Dialectic of Enlightenment. 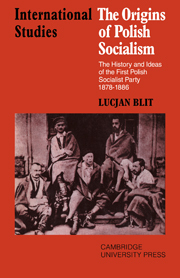 In so doing, it argues powerfully that a sophisticated critique of capitalism is centrally important to an adequate critical theory of the modern world, one that could get beyond the limits of the ‘cultural turn’ in the human sciences." 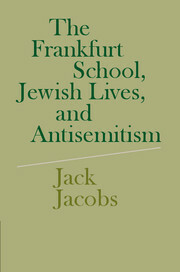 "Abromeit’s ambitious study of Horkheimer will become the standard secondary work in English on this important figure. 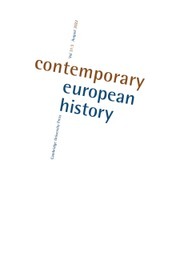 Part intellectual biography, it is also an intervention in contemporary debates over the direction of Critical Theory in the Frankfurt tradition. 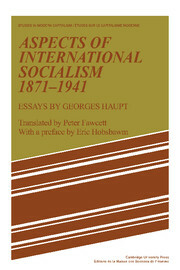 Abromeit’s goal is nothing less than to vindicate Horkheimer’s distinctive vision of Critical Theory by placing his anthropology of the bourgeois epoch in the foreground and by reconstructing the unfinished project of a dialectical or materialist logic that Horkheimer himself abandoned in Dialectic of Enlightenment." 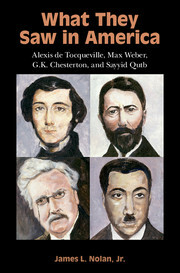 "In what will likely become the definitive study of the life and work of Max Horkheimer, John Abromeit illuminates as never before both the singularity of this surprisingly neglected thinker and, at the same time, his towering intellectual presence during the creation and development of Critical Theory as a distinctive school of thought. 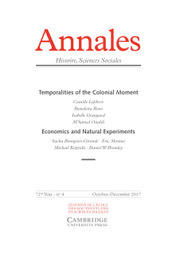 In analyzing Horkheimer’s critical appropriation of Hegel, Freud, and, above all, Marx, Abromeit reinterprets Critical Theory in its classical phase as a continuing source for the critique of modern capitalist society." 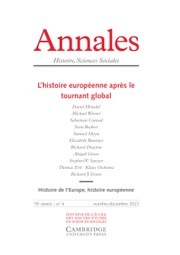 "John Abromeit’s Max Horkheimer and the Foundations of the Frankfurt School is the most thorough study yet of Horkheimer’s life and work up to 1941 … Abromeit has written an excellent intellectual biography of Horkheimer that will be necessary reading for scholars of the Frankfurt School for some time to come." Epilogue: toward a historicization of Dialectic of Enlightenment and a reconsideration of Horkheimer's early critical theory. John Abromeit is an assistant professor in the Department of History and Social Studies Education at the State University of New York, Buffalo. He is the co-editor of Herbert Marcuse: Heideggerian Marxism (2005) and Herbert Marcuse: A Critical Reader (2004), and his articles and book reviews have appeared in Theory and Society; Theory, Culture and Society; Radical Philosophy and Constellations. Professor Abromeit previously held a Harper–Schmidt postdoctoral position in the social sciences in the University of Chicago Society of Fellows.